Marketers and business owners alike have always held Competitive Analysis in high regard, but there are smart & useful approaches to competitive analyses and there are not so smart & useful approaches. 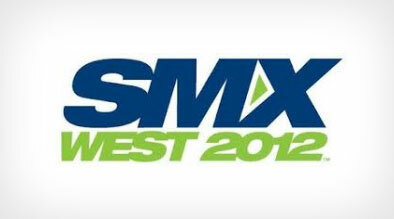 Experts at SMX West 2012 gave insights and some new ideas on the topic of competitive analysis. We will recap on some of these key takeaways and how it translates to the hospitality industry. Direct Competitors – they are showing up for everything you show up for and their hotel is very similar to yours in terms of class, amenities, and services. Vertical Competitors – Your own presence in different verticals. An example is the branded site vs. your independent site; or the OTA listing of your hotel vs. your own independent website. Non Competitors – websites that shows up for query related to you, but are not a competitor. For example, the CVB website showing up for queries related to your hotel destination. PPC Blank Space Management – Speaker Jacob Hagemann brought up the idea that more focus should be spend in figuring your competitor’s budget and bidding pattern. In essence, figuring when the competitor is out of the budget for the day, and created a “blank” space for your own ad to come in and populate. And for hoteliers, we have to be mindful of our booking patterns before adopting this strategy. For example, if we discovered that there is some blank spaces from 11pm – 2am, but our pattern shows that most future reservation are booked before 6pm and all same day reservation are made before 11pm. Then, maybe this is not a blank space we need to compete for. Competitive Analysis on the Conversion elements (the offer page) – We hoteliers are very familiar with this concepts, we are trained to stay on top of our competitor’s every movement on Best Available Rates or new additions to Special Package Offers. We need to intimately know exactly what our competitors are doing, and we might be able to discover breakthrough search trends and opportunities that we didn’t notice before. The key takeaways from the SMX West Experts are: to smartly categorize competition, to look beyond the basics when comes to running PPC campaigns, and to know exactly what kind of strategies or promotions your competitor is running that month, or even that week. Home Visibility through YouTube Videos – SMX 2012	What Can I Do to Improve the Performance of My PPC Campaigns?